“Red Flag Gun Laws” are one of the specific gun controls that have floated in response to the Santa Fe High School shooting, even though such laws would have done nothing to hinder the attack. Such laws involve court orders that allow police to confiscate firearms from gun owners deemed to be a risk to themselves or others. The laws also have a component by which the individual is reported to the National Instant Criminal Background Check System (NICS) and barred from purchasing more firearms. On March 9 Gov. Rick Scott (R) signed legislation creating such confiscatory orders in Florida, and on April 24 Maryland Gov. Larry Hogan (R) signed a bill creating similar orders in Maryland. Illinois Gov. Bruce Rauner (R) has proposed such orders for his state, and similar laws are now being floated as an idea for Texas Gov. Greg Abbott (R) to consider in response to the Santa Fe High shooting. The problem with this push is that “Red Flag Gun Laws” would have done nothing to prevent the Santa Fe High attacker from striking because he did not own the guns he used and he is too young to purchase firearms. The guns he used in the attack belonged to his father. “Red Flag Gun Laws” are one more set of laws that could be passed to alleviate the emotional distress and national heartbreak Americans feel after a heinous crime, but such laws would not do anything to prevent that very crime from being repeated day after day after day. 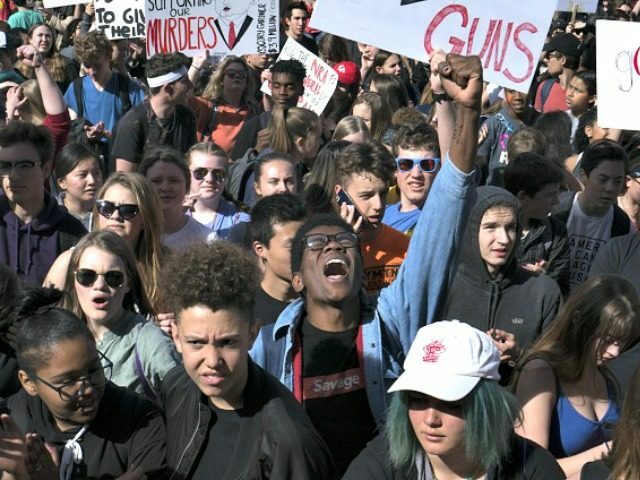 On May 18 Breitbart News reported that the left’s favorite gun controls–“assault weapons” bans, “high capacity” magazine bans, universal background checks, and waiting periods for firearm purchases–would have also been impotent to prevent the Santa Fe High shooting. These controls would not have been effective because the gunman did not use an “assault weapon.” Gov. Abbott said the gunman used a .38 revolver and a shotgun. Moreover, he did not buy his firearms, therefore, no point of sale background check or waiting period applied.